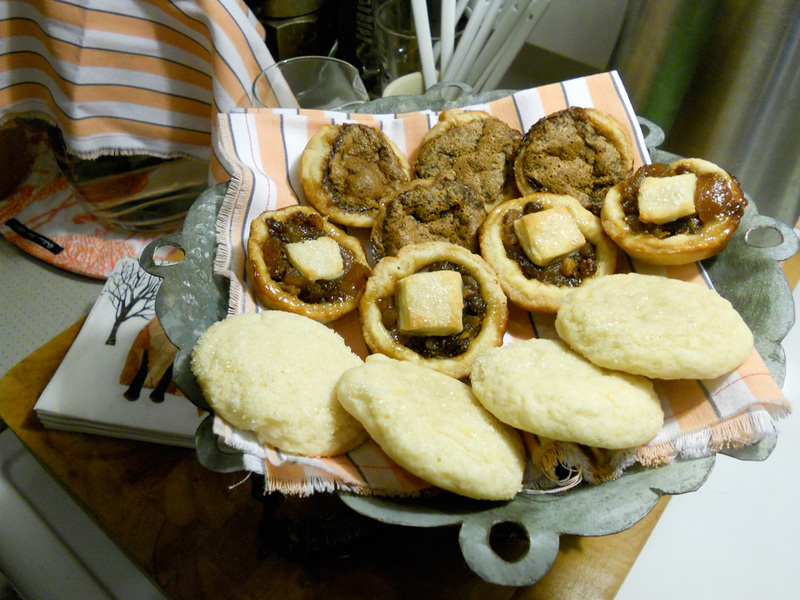 My felted pins with Annie’s dollies and Miss Bunny Drummond hanging out in the background. 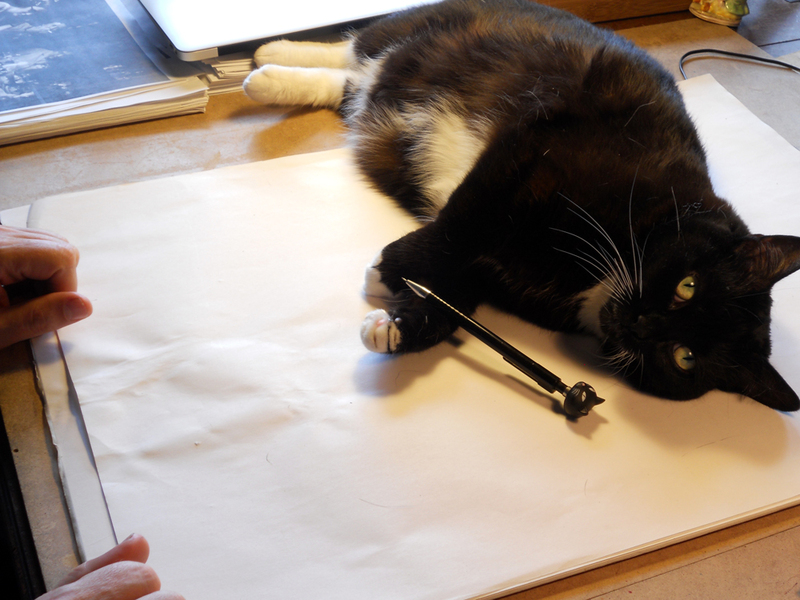 GJ making sure all the pages of his children’s book of art and poems are ready for the photographer next week. 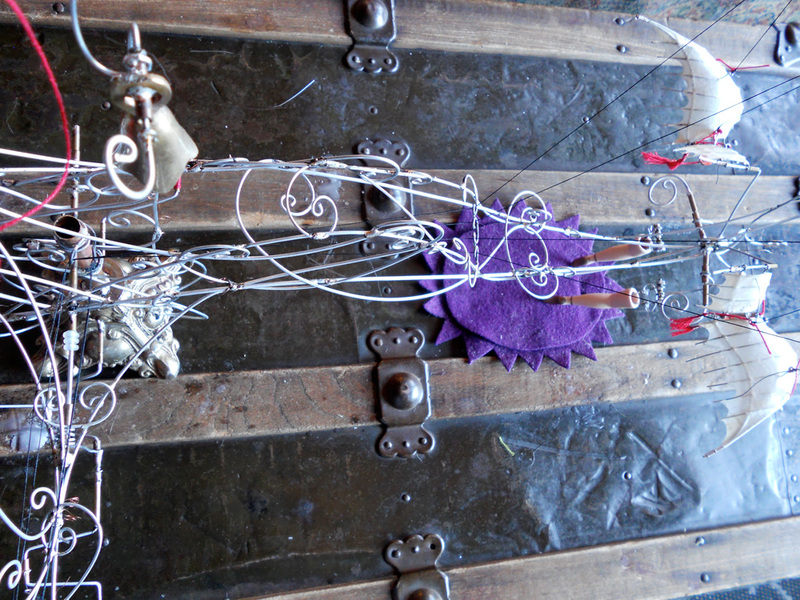 West corner with Annie Nazarian’s sewn art pieces. View of the rooftops of Dragon Alley. 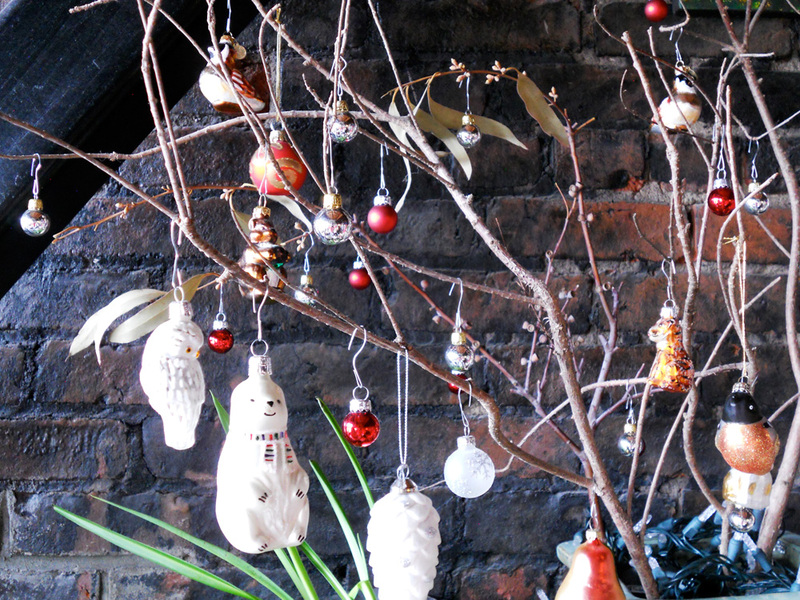 Sculptures and things with adorned branches. 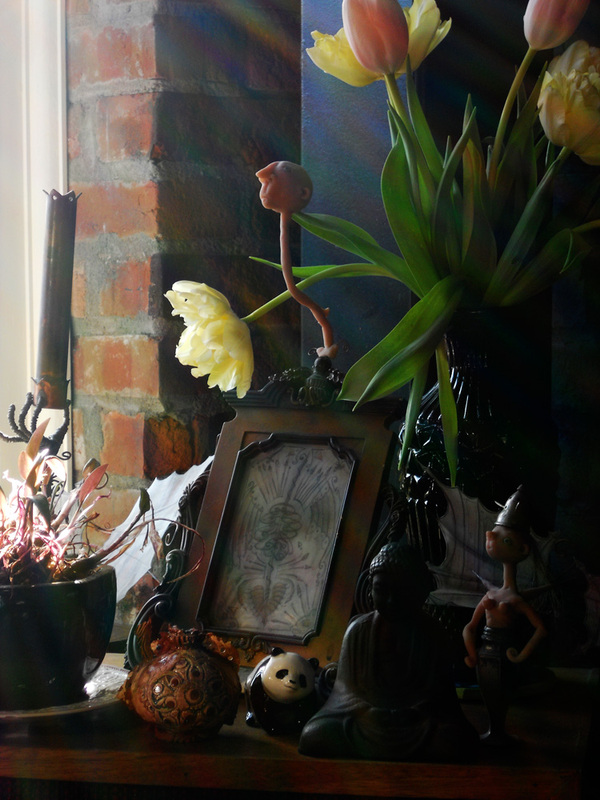 Group of things by candlelight and winter light. 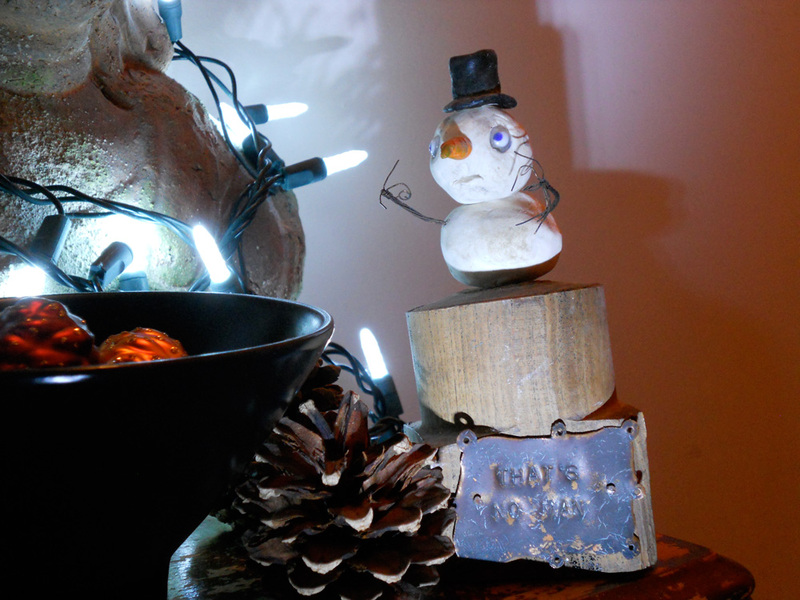 Here’s a few shots of some of our Holiday Ho, Ho, Ho around the studio, plus a nice shot of the Inner Harbour in Victoria BC. 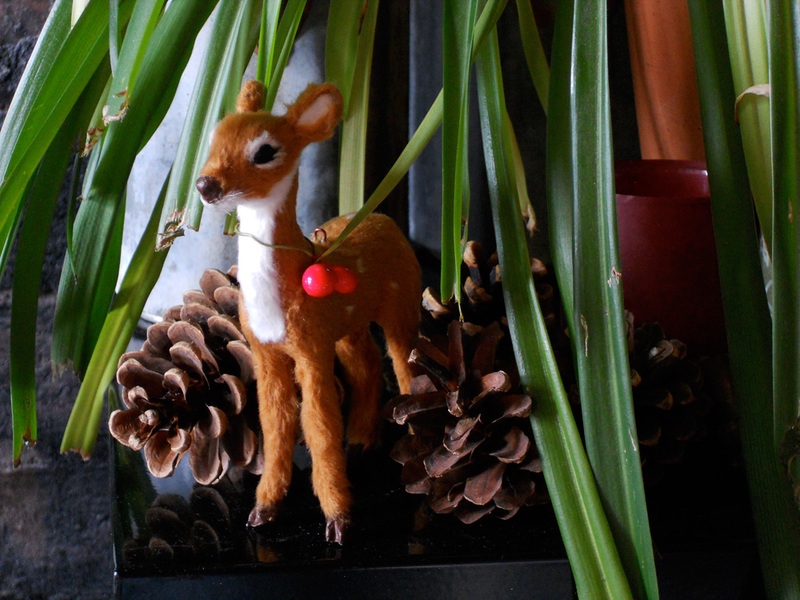 Little deer pokes out from the part of the spider plant the cats chewed away. 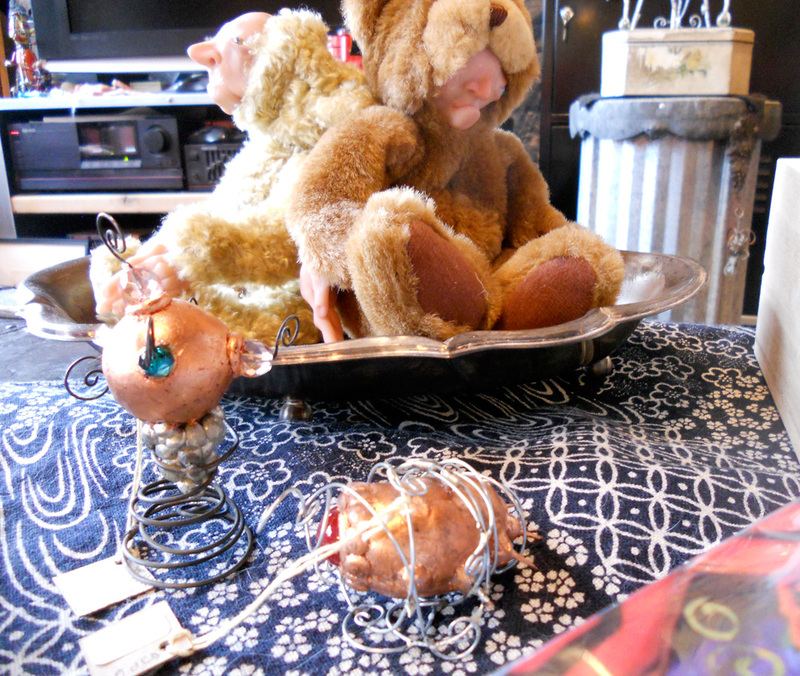 All our little glass animals with red and silver balls. 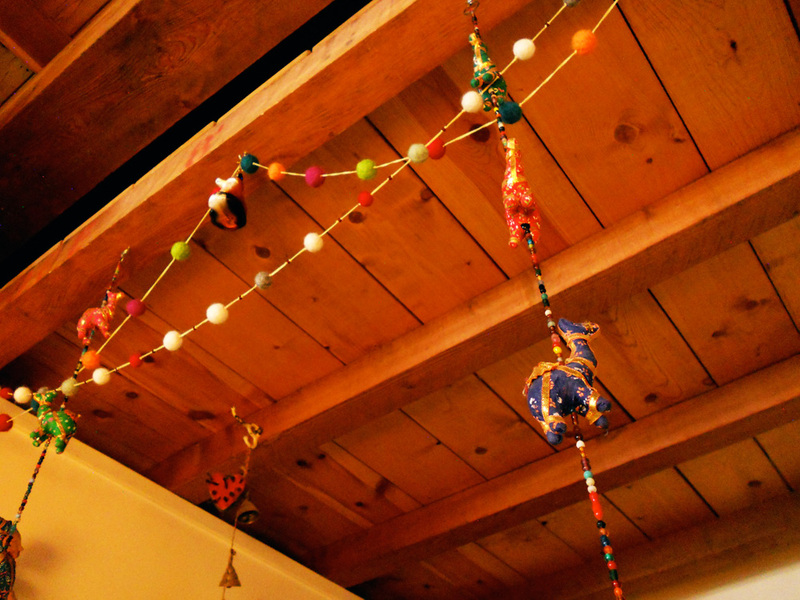 Little felted wool balls strung to make colourful garlands, along with camels from India and my favourite glass fox. That’s No Man, by GJ Pearson, all lit up for the Holidays. 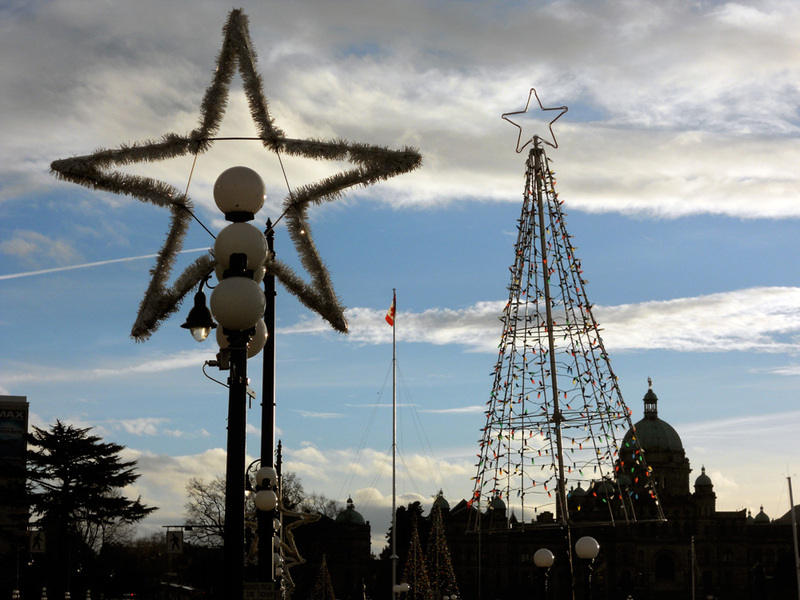 Taken yesterday in front of The Fairmont Empress, looking towards the Legislature. The sky was amazing. 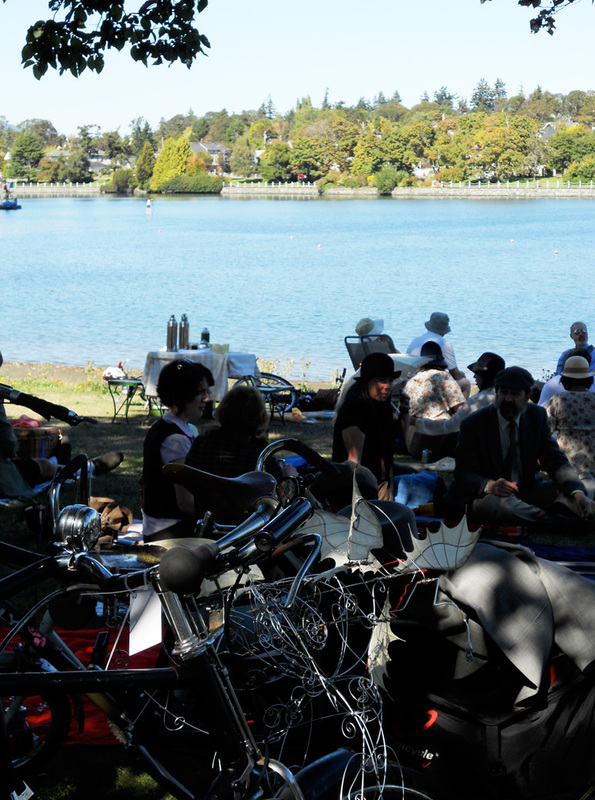 The 4th Annual Victoria Tweed Ride was held last sunday, and what a lovely day it was! 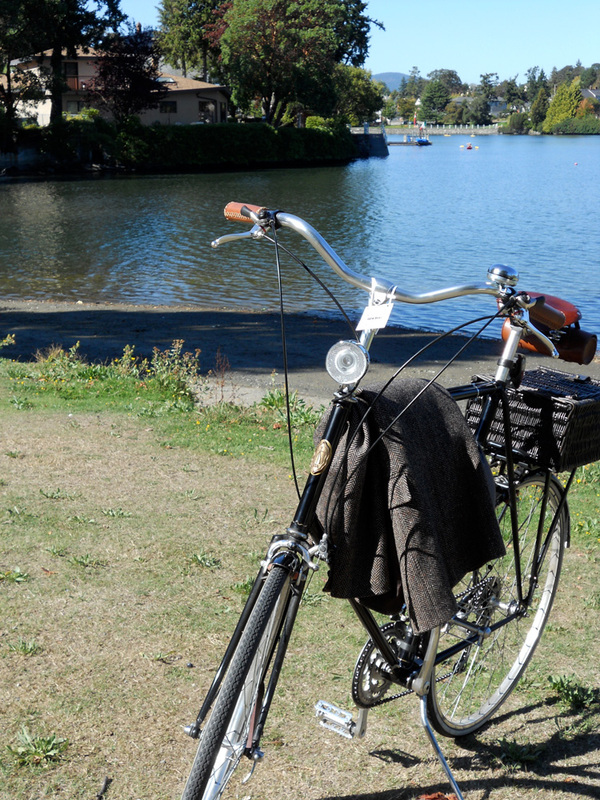 The ride itself was quite long this year, beginning at the St Ann’s Academy grounds downtown and finishing at a perfect picnic spot at Esquimalt Gorge Park. 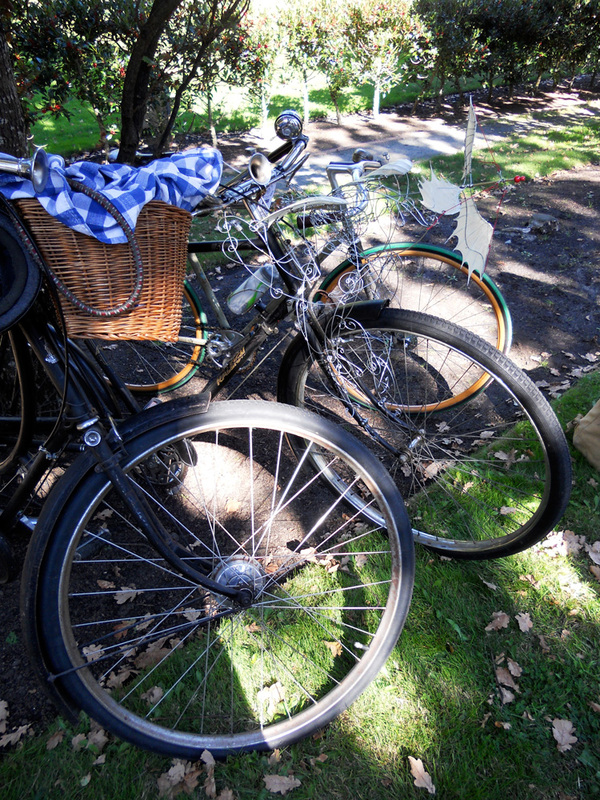 More than 200 riders enjoyed an ideal day out. Waiting to take off! 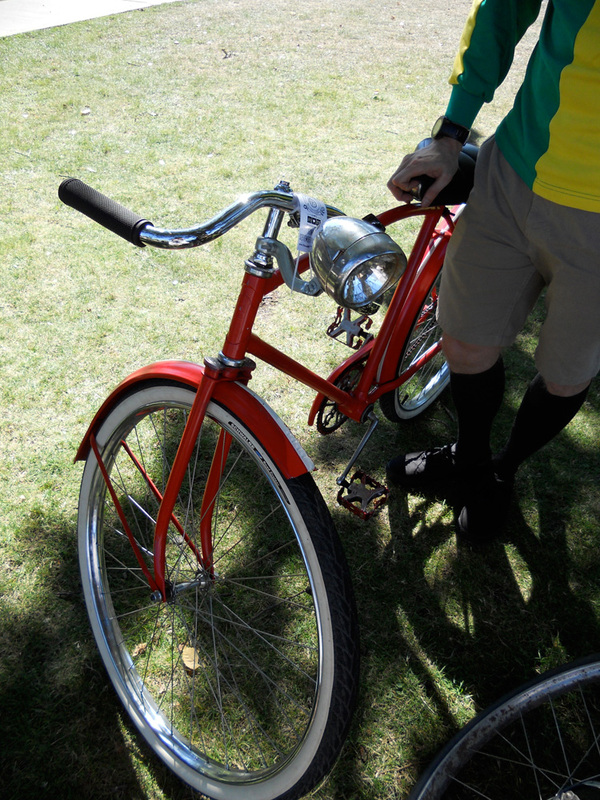 GJ built an amazing wind-powered flying machine for the front of his Raleigh. 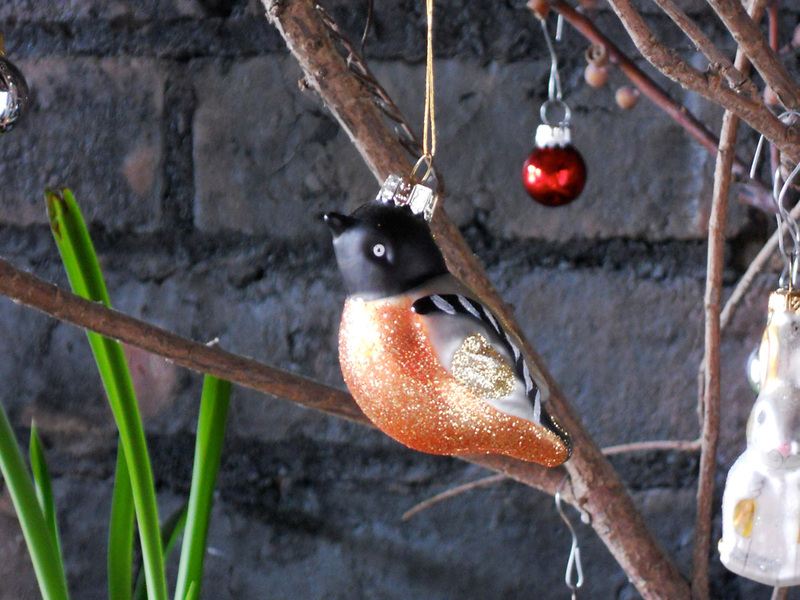 It worked so well, spinning propellers and flapping wings! Video coming soon. 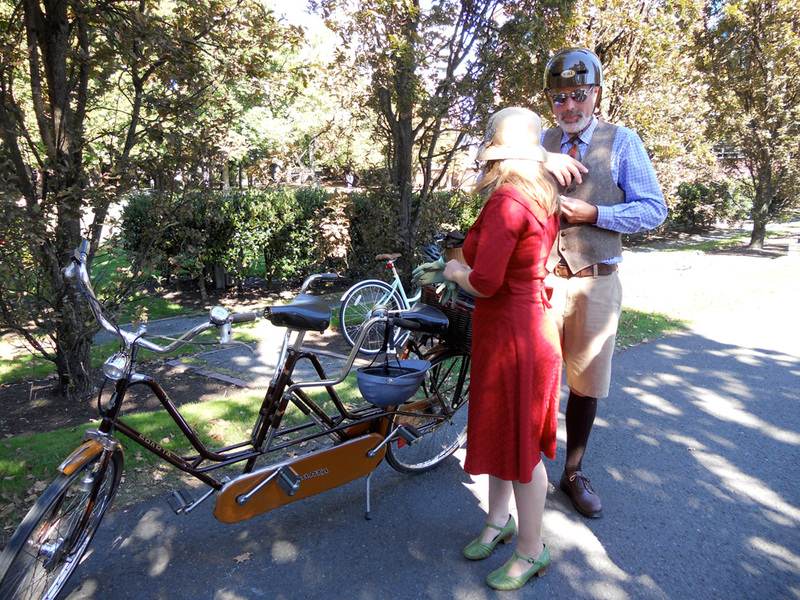 One of my favourite bicycles: a vintage Sparta tandem ridden by a lovely couple. 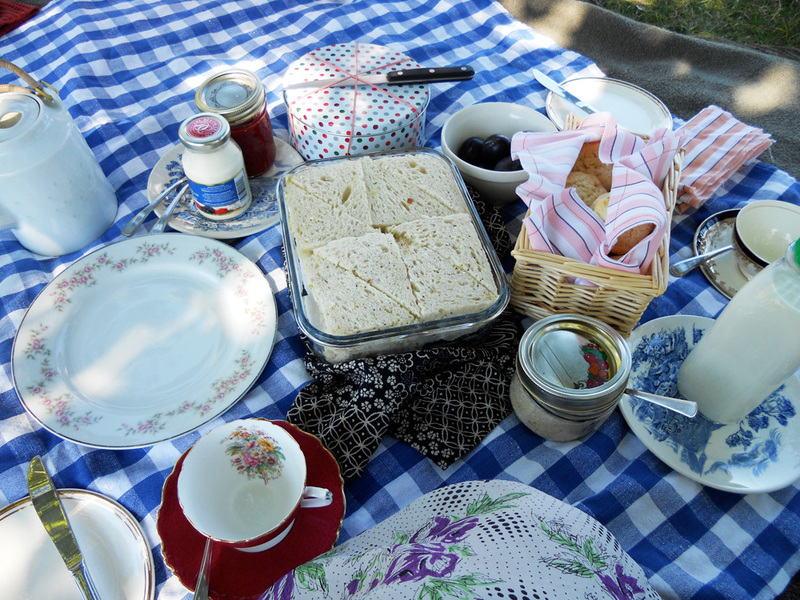 My picnic: tea sandwiches, cream scones with strawberry jam and clotted cream, lemon cake and plums. 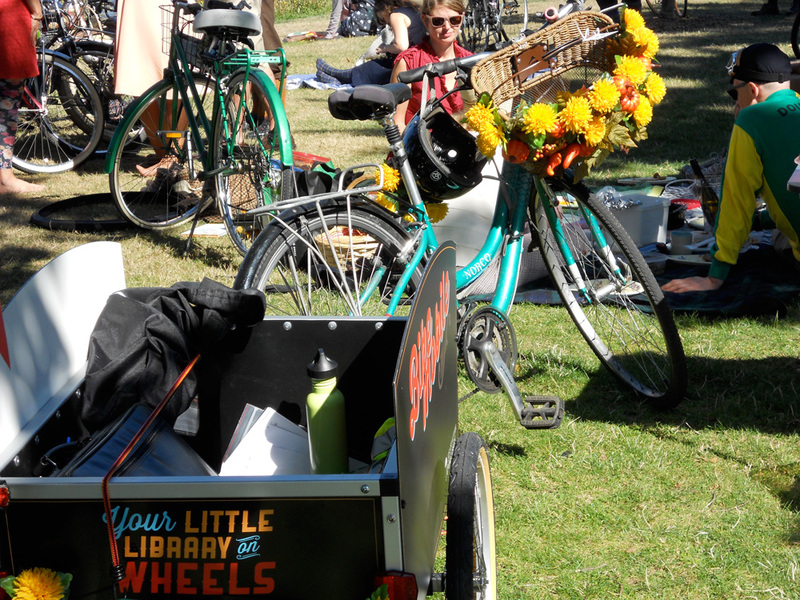 This bicycles and trailer are a mobile library! Well done! 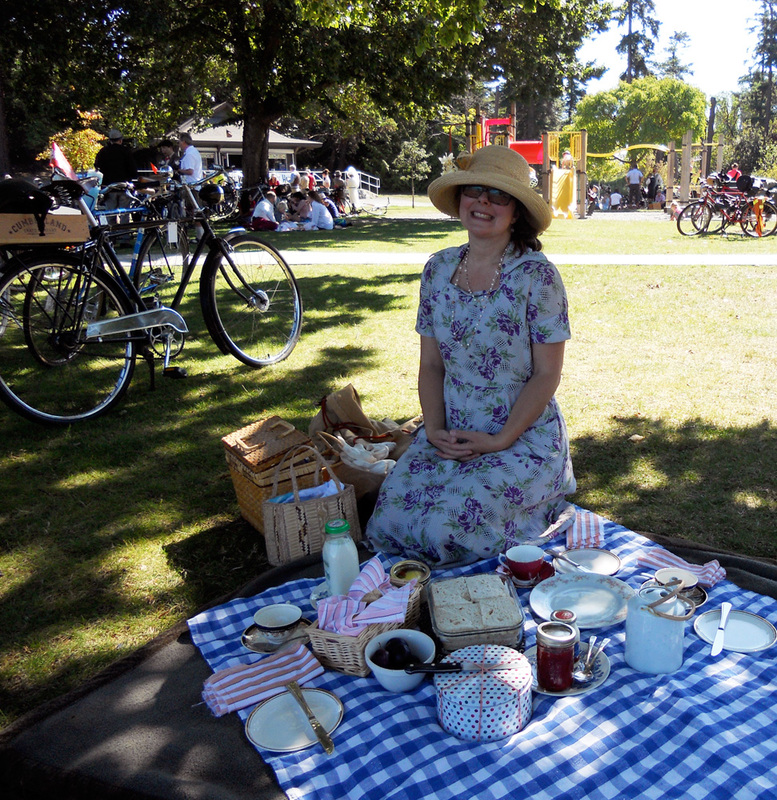 Our friend Francis took this pic of me and the picnic I prepared. Thank you Francis! 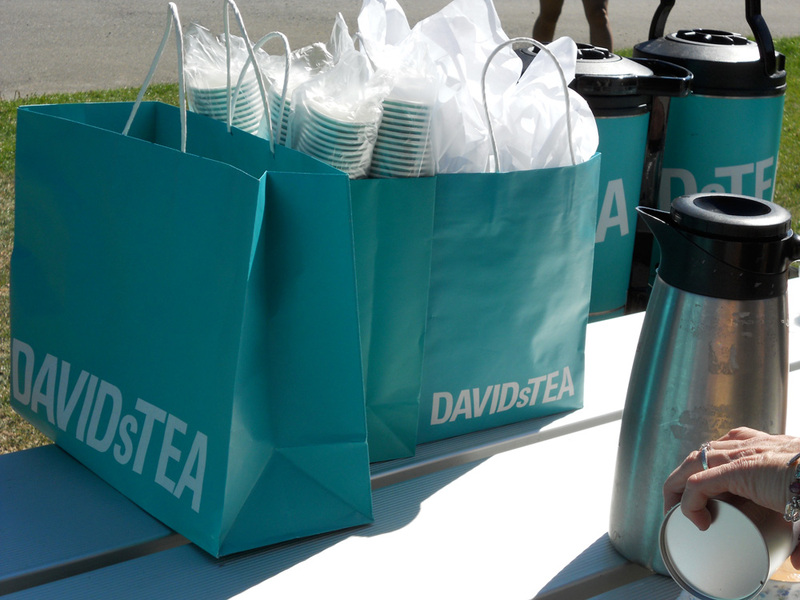 David’s Tea, one of many sponsors, provided the tea service this year. Many large trees provided welcome shade to the picnickers. 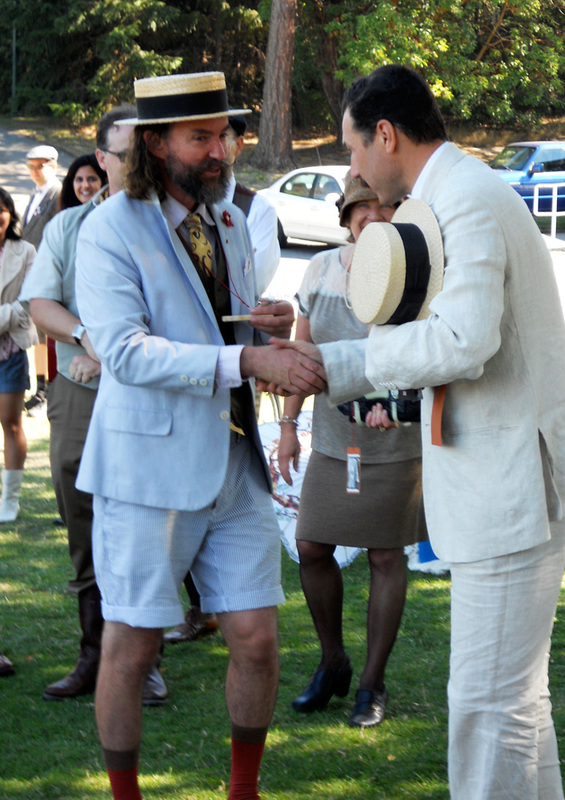 GJ on the left, looking so divine, handing out one of the prizes from Fairfield Bike Shop, where he works, to the always dapper, always a gentleman, Simon. Simon was one of the organizers of the first three Tweed Rides and gave much support this year to the new team. 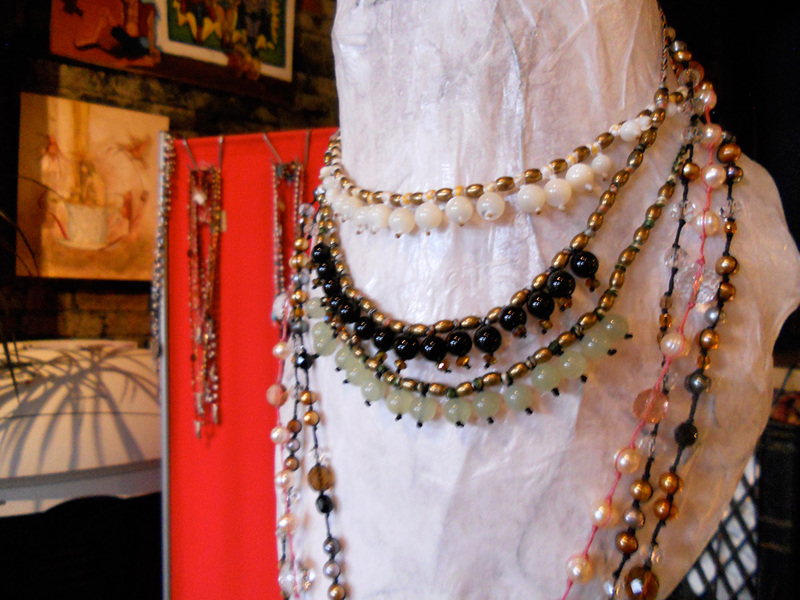 The lovely Marion always creating. 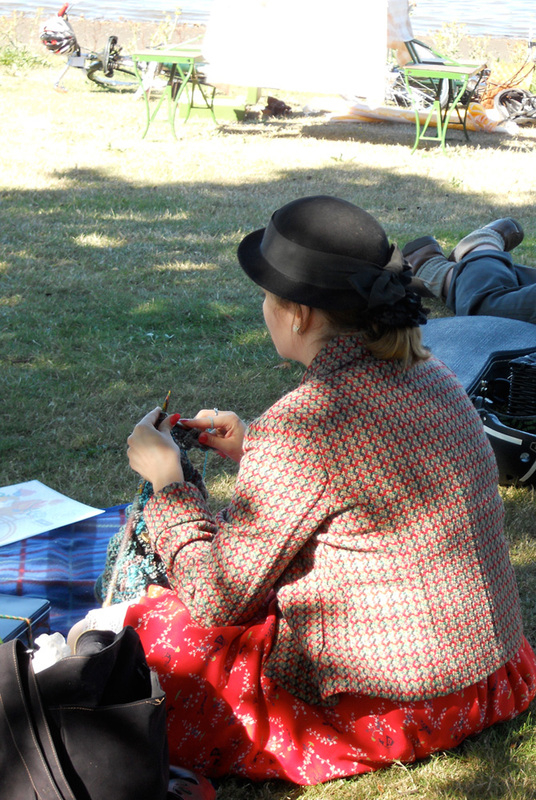 I wish I had gotten a better shot of her dress which she sewed herself from vintage fabric. 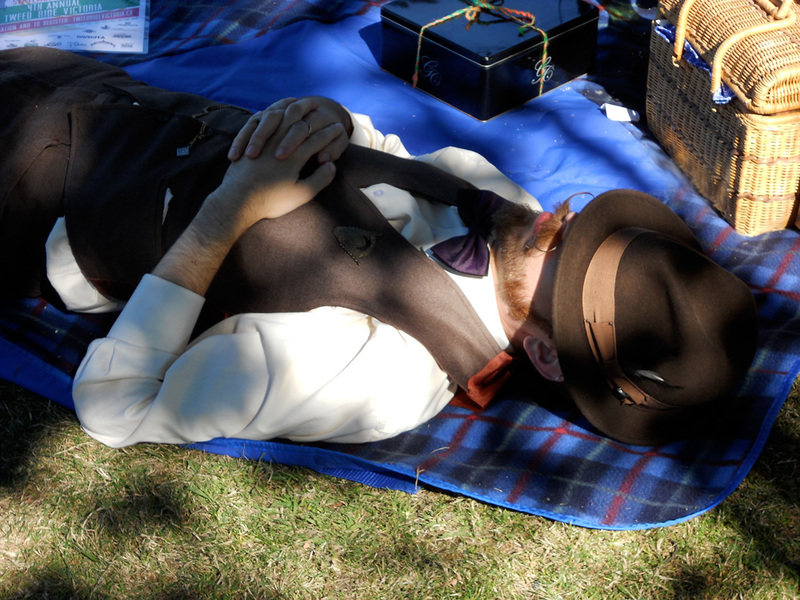 Our friend Riley having a post-picnic snooze. His fabulous mustache won him a prize again this year! 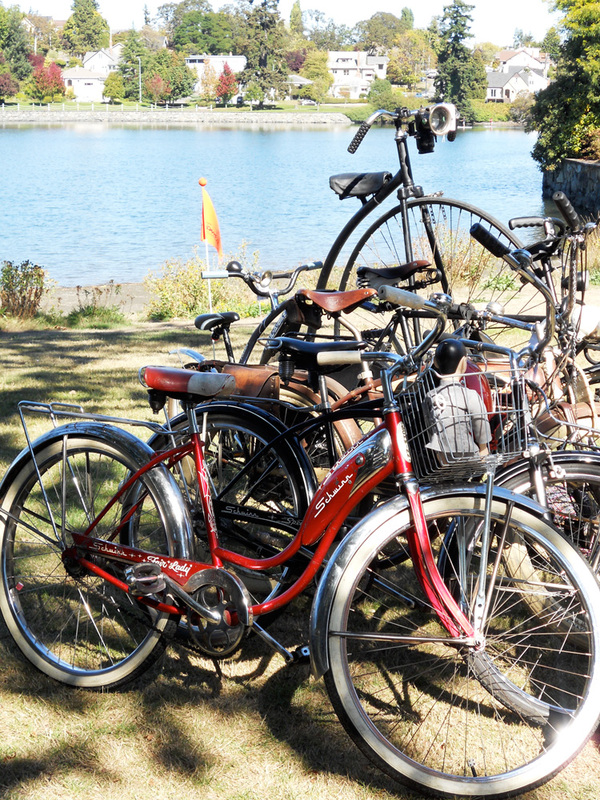 Such a beautiful spot, right on the Gorge Waterway, and a perfect sunny day. One of my favourite bikes. 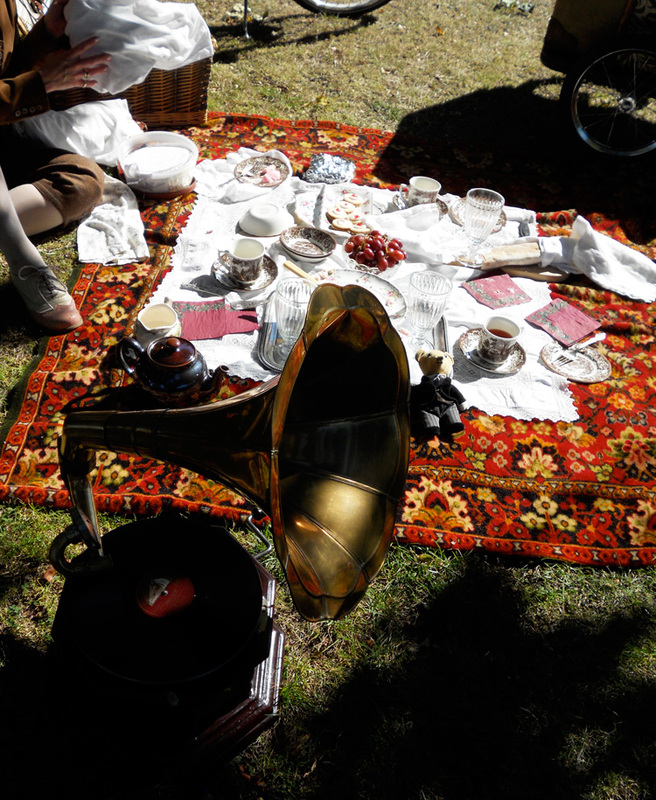 One of the especially nice picnics, gramophone and tweedy teddy included. 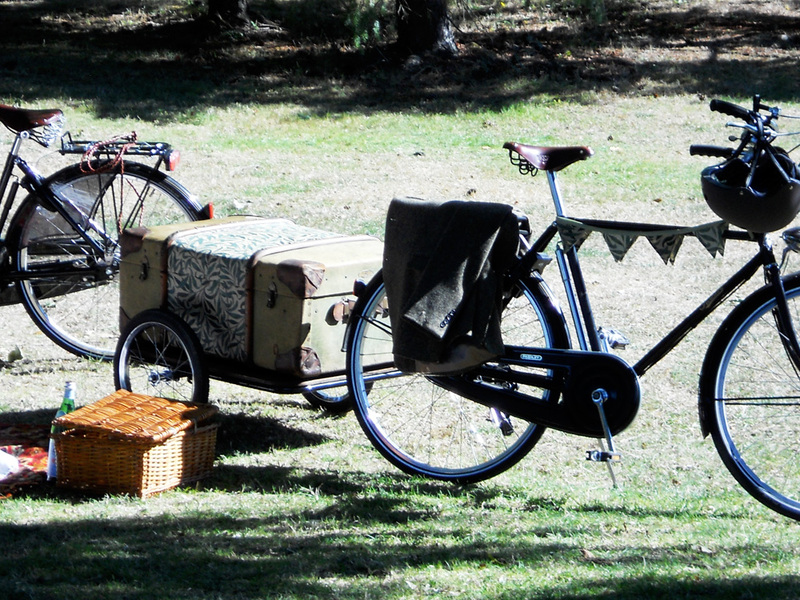 Beautiful bicycles, picnic hampers and trailers. It’s been a busy few months. In June, we worked with our friends artist Gareth Gaudin and Alison at Dales Gallery to create a show of Gareth’s original drawings from the graphic novel Silence Is A Song I Know All The Words To, which is a collaboration with spoken-word poet Shane Koyczan. The original drawings are now available for purchase here. 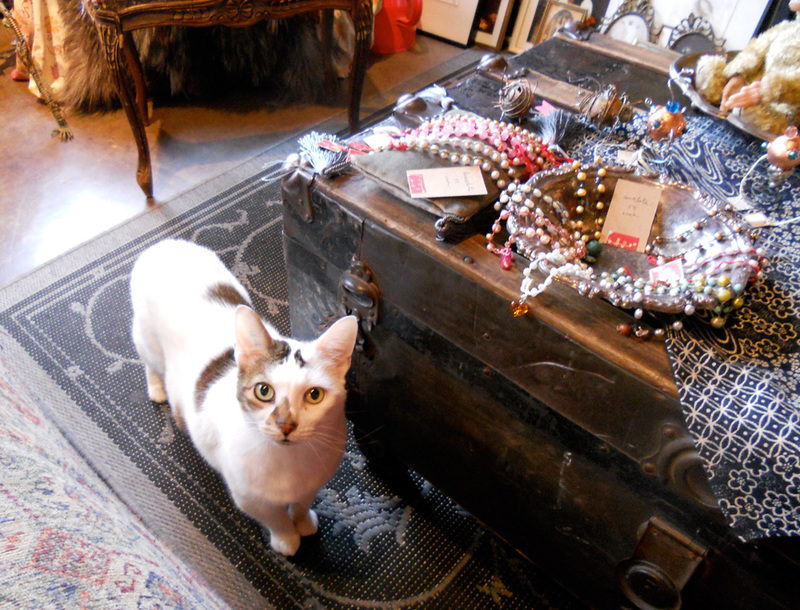 I’ve been making a lot of new jewellery; some goes up on the online store, some to Eclectic Gallery in Oak Bay, and some we keep around for our open studios which we’ve been having about once a month. 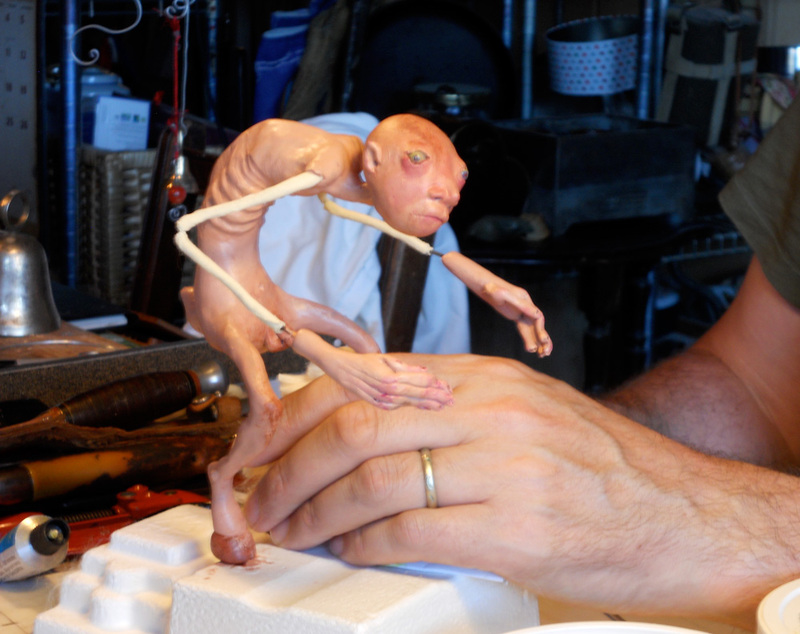 GJ’s been very prolific making sculpture. 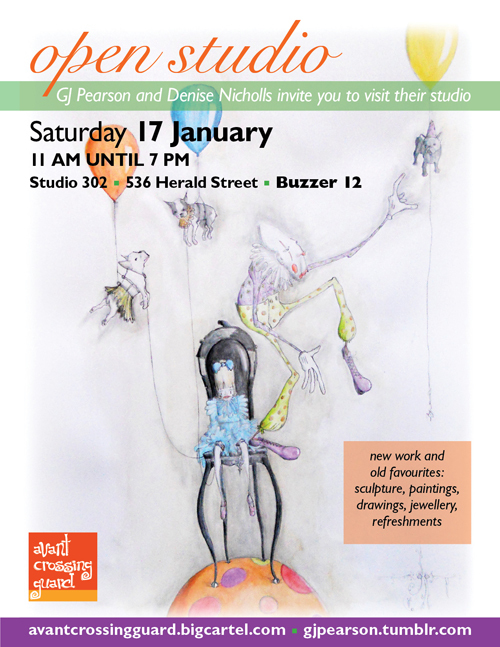 He’s working on a figurative piece today and has two new kinetic pieces, one of which you can see in action here. 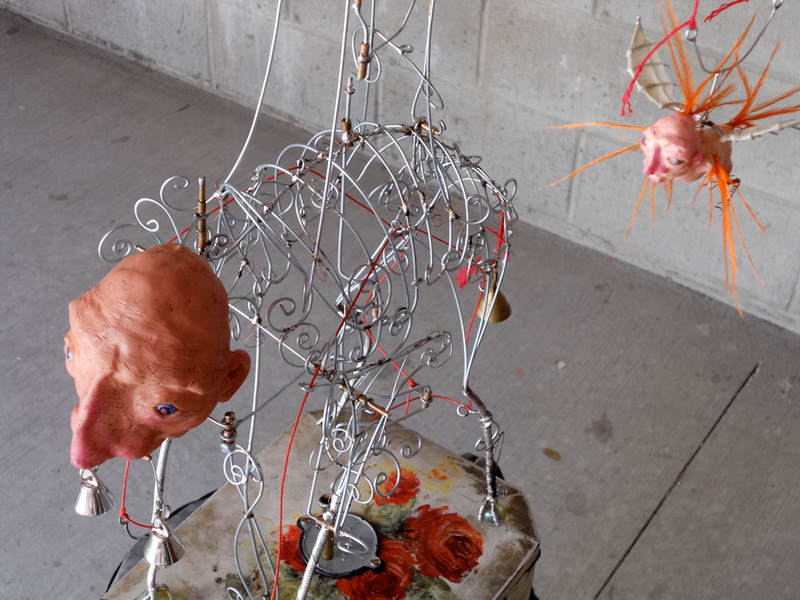 GJ also submitted recently to Dug North: The Automata Blog and had one of his kinetic pieces featured; very exciting! A new figurative piece in progress, by GJ Pearson. Beast on a Biscuit Tin, kinetic sculpture by GJ Pearson. Jumping Machine by GJ Pearson; video to come soon. 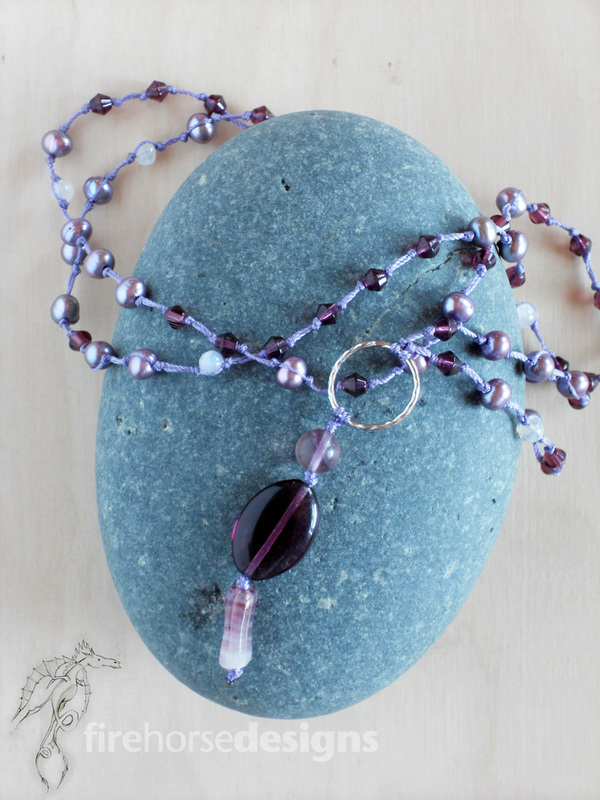 Firehorse Designs new necklace: Pearls, glass and silver. 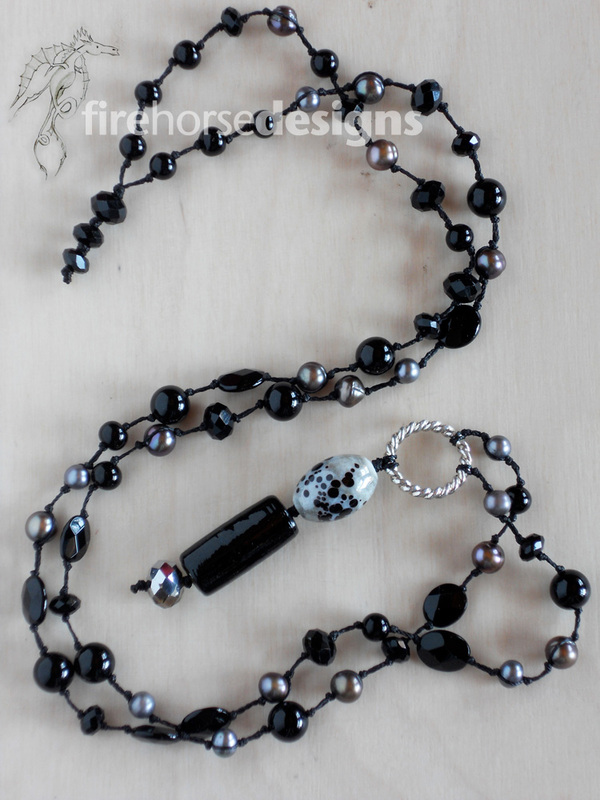 Firehorse Designs new necklace: Black stones, grey pearls and glass. 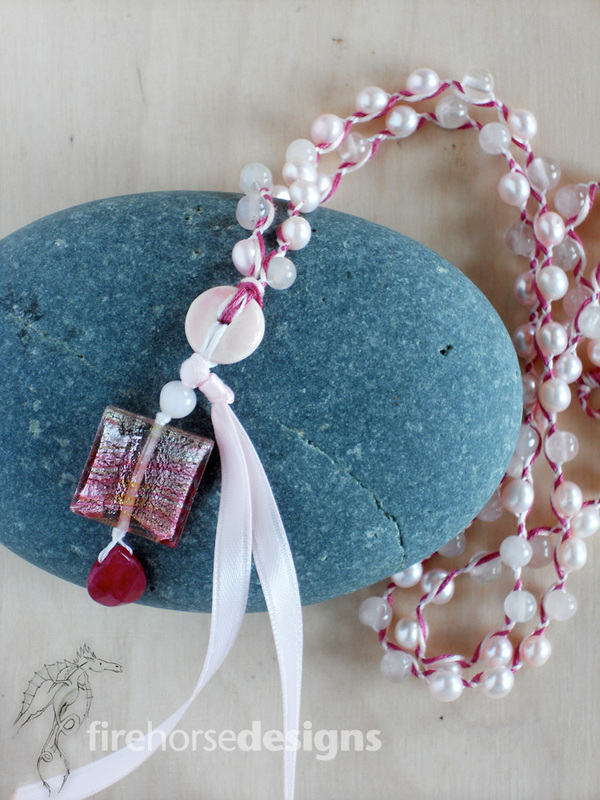 Firehorse Designs new necklace: Pink pearls, rose quartz and Italian glass. 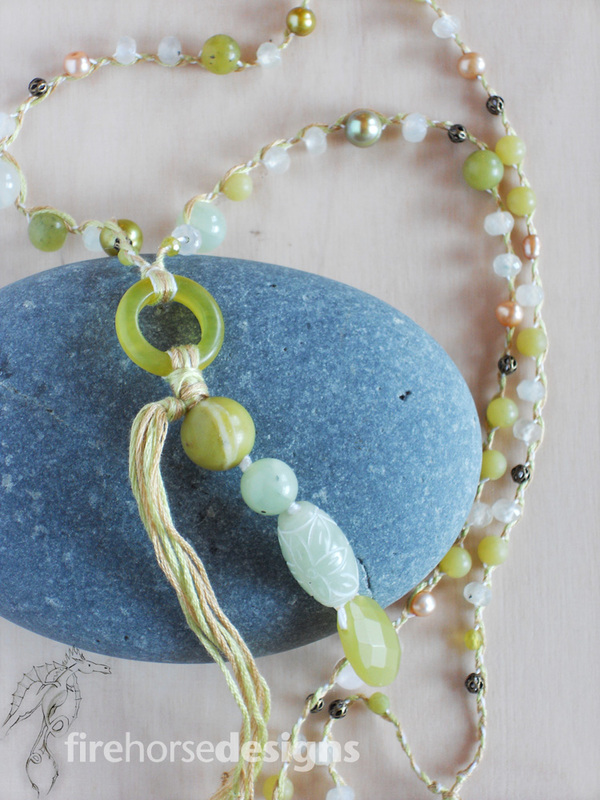 Firehorse Designs new necklace: Various jades and pearls in shades of green. 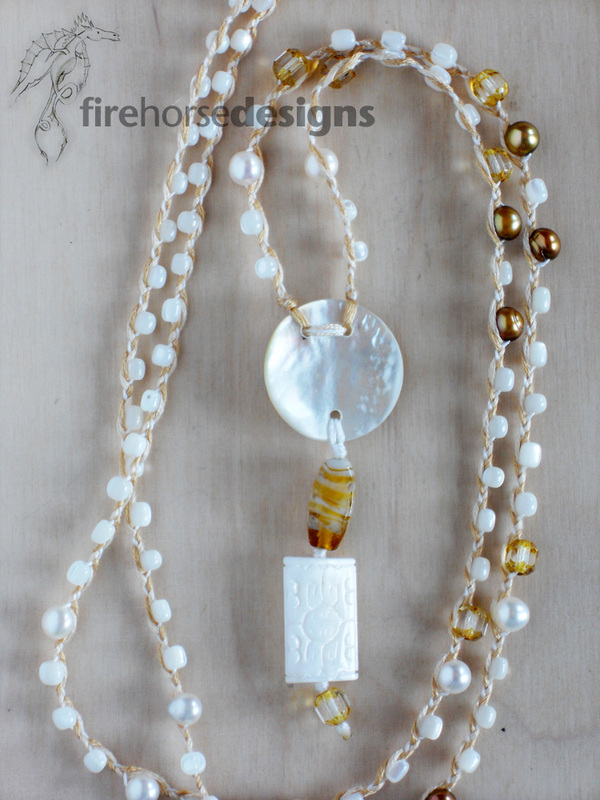 Firehorse Designs new necklace: Mother of pearl, gold-coloured fresh-water pearls and glass. 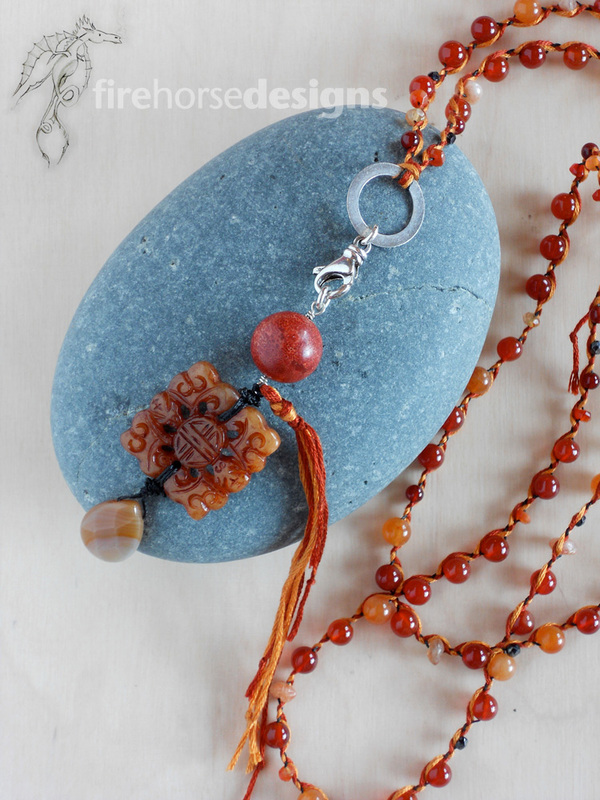 Firehorse Designs new necklace: Carnelian, brown jade and silver.